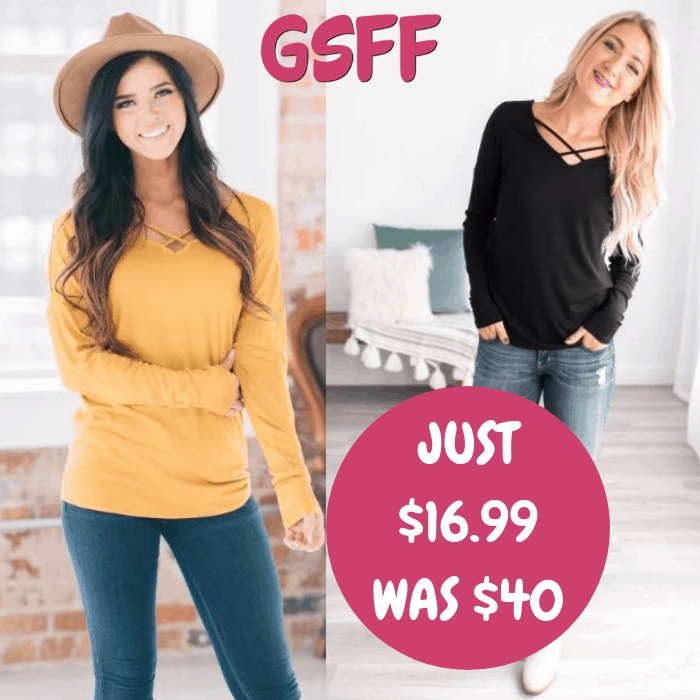 Criss Cross Top Just $16.99! Down From $40! FREE Shipping! You are here: Home / Instagram / Criss Cross Top Just $16.99! Down From $40! FREE Shipping! This deal expires on December 12! Jane is offering this Criss Cross Top for just $16.99 down from $39.99 PLUS FREE shipping! You’re gonna love the details on these new Westlyn Criss Cross Top! From the trendy crisscross detail on the bust to the semi-loose fit to the long sleeves, what’s not to love?! The super soft fabric of our top makes it so comfortable and easy to style! Rock it with your favorite pair of skinnies and you’re sure to love the way you look and feel!